Retold stories of five biblical Women whose lives displayed the grace of God in the land of the living, and whose lineage leads directly to birth of Jesus and the entry of God into his creation to show the true extent of his divine grace. Francine Rivers re-tells the amazing stories of the five women chosen by God to bring his kingdom closer to earth through their own example of love, sacrifice and loyalty. These stories of courage and compassion empower women today to find God’s purpose for themselves and live to fulfil that calling as God intended. Throughout her writing, Francine Rivers uses her imagination, skill and heartfelt admiration for her 5 biblical heroines to make the Bible accounts more understandable, relevant, accessible and interesting to women. 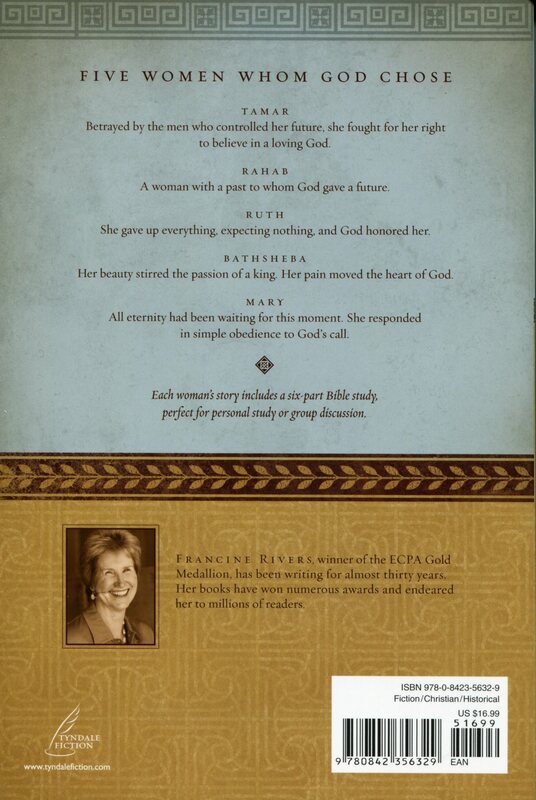 A Lineage of Grace by Francine Rivers was published by Tyndale House Publishers in November 2009 and is our 1531st best seller. The ISBN for A Lineage of Grace is 9780842356329. 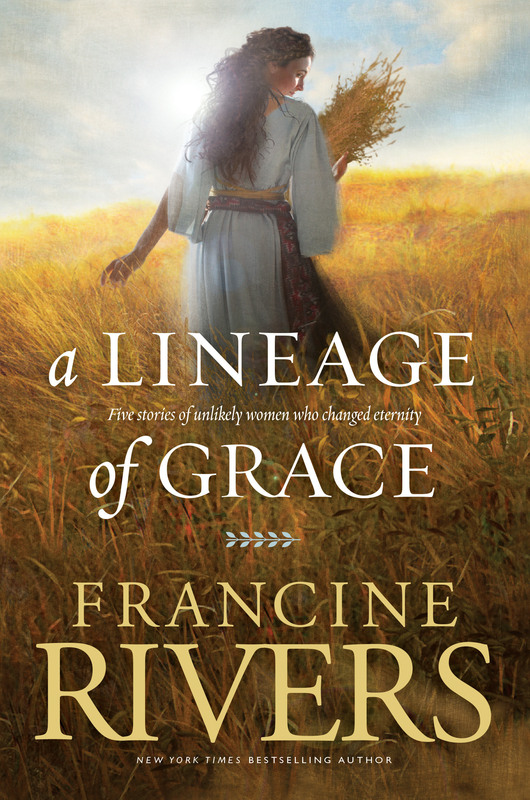 In this compilation of the five books in the best-selling Lineage of Grace series by Francine Rivers, we meet the five women whom God chose—Tamar, Rahab, Ruth, Bathsheba, and Mary. Each was faced with extraordinary—even scandalous—challenges. Each took great personal risk to fulfill her calling. Each was destined to play a key role in the lineage of Jesus Christ, the Saviour of the World. I had previously read The Mark of the Lion series and I had read the reviews for this book. I love Francine Rivers' writing style, the way she makes you feel as if you are there, makes you love characters, or feel compassion for characters who lived once before. Like The Mark of the Lion series, this book has definitely aided in my maturity. Would recommend. Got a question? No problem! Just click here to ask us about A Lineage of Grace. This compilation has a lot less pages than if the five stories are bought separately. Are they contained in full in this book or have they been shortened? Thanks. A:These are the full books. I would imagine that the font may be smaller, or formatted differently, to take up less page space. Thank you for using the Q&A Forum. 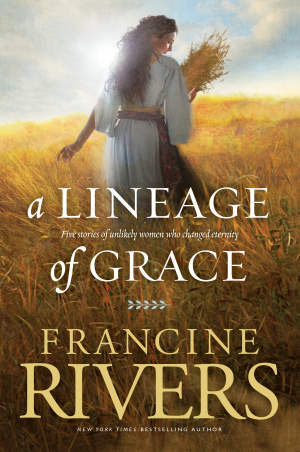 In this compilation of the five books in the best-selling Lineage of Grace series by Francine Rivers, we meet the five women whom God chose; Tamar, Rahab, Ruth, Bathsheba, and Mary. Each was faced with extraordinary - even scandalous - challenges. Each took great personal risk to fulfil her calling. Each was destined to play a key role in the lineage of Jesus Christ, the Savior of the World.